Designers of restaurants and event spaces have a tough job: create an acoustic environment that strikes the perfect balance of vibrant and intimate. The idea is to cultivate a lively, energetic space where people are comfortable enough to let loose and have a good time, but can also hear themselves speak and think. Visitors want to feel a part of the action just as they want to feel comfortable sitting down for a one-on-one conversation with a friend. This sets up a tricky set of circumstances that can result in a space that is either too loud or too physically chopped up to work. There are solutions, though, to help reduce noise in these spaces without dampening the spirit and soul of what makes a night out so special in the first place. The acoustic experience in a bar should take on a different character than that of a dining room. 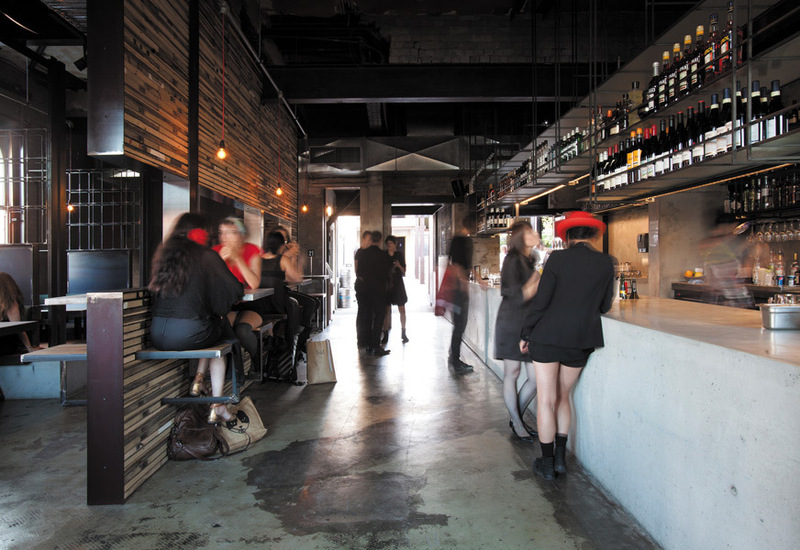 Traditionally, the bar is the energetic heart of any restaurant, reserving a more refined and secluded dining experience for the sit down tables and service area. This type of distinction should also extend to other areas of the restaurant such as the lobby, entryway and private event spaces. A smart design solution creates a distinct acoustic separation between these two spaces without disrupting the flow of the design. This makes any physical intervention tricky. The separation must be robust enough to muffle some of the more offensive noises coming from the bar without complete segregation. 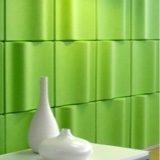 Acoustic panels or screens can be arranged to strike that balance by absorbing noise without destroying the flow of the space. The EchoScreen provides distinction and acoustic separation between the two rooms, while still allowing for access to each space. 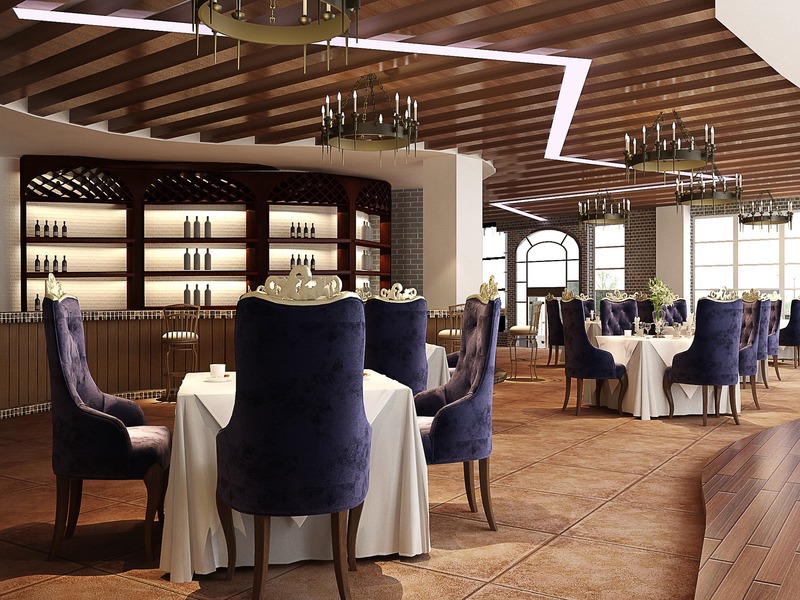 Most restaurants are housed on the ground floor of commercial, industrial or hospitality structures. This means a lot of concrete, exposed pipes and mechanical equipment. These surfaces don’t do anything to absorb sound, and can make an untreated space an absolute acoustic mess. 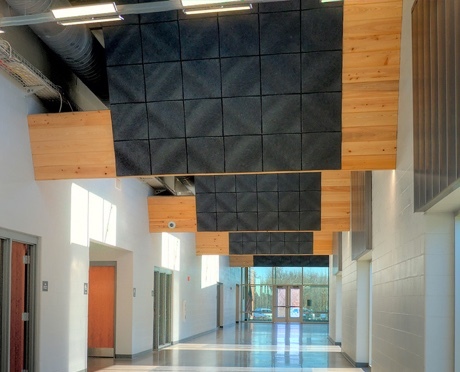 Installing an acoustically engineered ceiling system is one of the first things you should plan in these types of spaces. 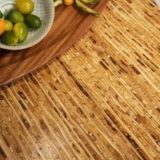 This provides not only a chance to soften reflection and create a more refined acoustic environment, but can also make a design statement that wows guests as they delight in their dinner. These ceiling baffles are a good example of a system that performs and looks good. You can even plan your lighting design around your dropped ceiling or vice versa, resulting in a cohesive element that helps defend against an overly noisy dining room. So, you’ve come to the conclusion that all the hard surfaces in your space make for an uncomfortable visitor experience. This is a common problem existing buildings face. Luckily, there are some great solutions out there that will help reduce noise and add to your space’s aesthetic. 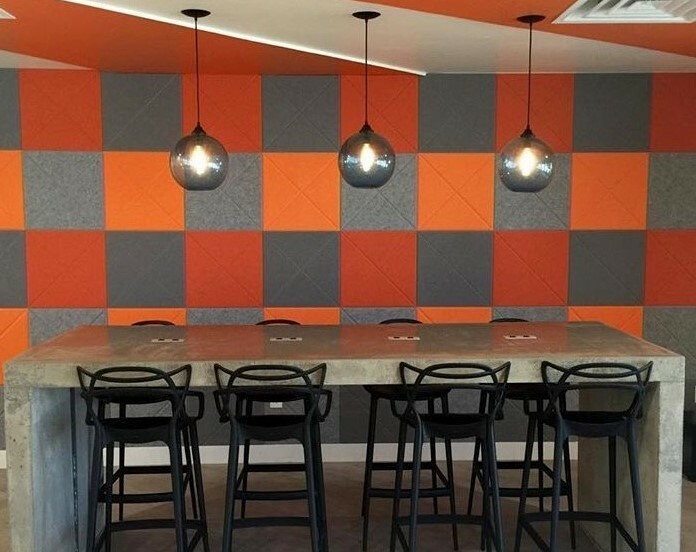 These acoustic wall tiles from Kirei come in a variety of colors and design options. They can be strategically placed along a hard wall surface depending on your acoustic needs, and add some much-needed character to boring white walls. 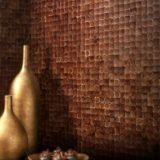 Wall tiles can be especially effective in new construction spaces. A new project offers a clean slate when it comes to design and organization. Versatile wall treatments like wall tiles allow the designer to get creative with texture, materiality, as well as conjuring a brand identity entirely unique to the space. Among the other hard surfaces in your event space, tables are a major contributor to excessive sound reflection. Introducing soft fabrics like tablecloths will muffle the instances of reflection and turn the volume knob down for the entire room. The intervention doesn’t have to stop there, either. A strategic use of rugs, plants and other soft, sound-absorbing materials will reduce echo and help to control noise that might bounce of off hard surfaces. When you’ve determined just how loud (or quiet) your space needs to be, you can then start to implement some of the above strategies to execute an interior design that is both visually and acoustically balanced. You might consider hiring a licensed acoustic engineer when designing any restaurant or event space for the optimal acoustic result. But having these strategies and tips on hand should help you navigate your next project with confidence and ease. 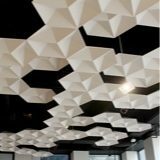 Want more inspiration for an acoustically comfortable restaurant or event space? Check out more of our acoustic products here.